Held in Nago City, the biggest municipality in northern Okinawa, this summer festival features over 60 stalls selling food, beverages and various non-food items, kids dance shows, choral performances, yukata (traditional Japanese kimono-like clothing worn in summer), live music and more fun events for everyone to enjoy. 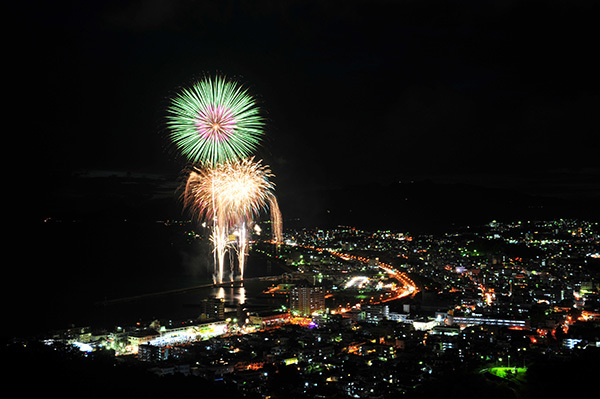 You can't afford to miss the impressive fireworks display scheduled at the end of both evenings. Fireworks display: 20:00 both days *Subject to change.